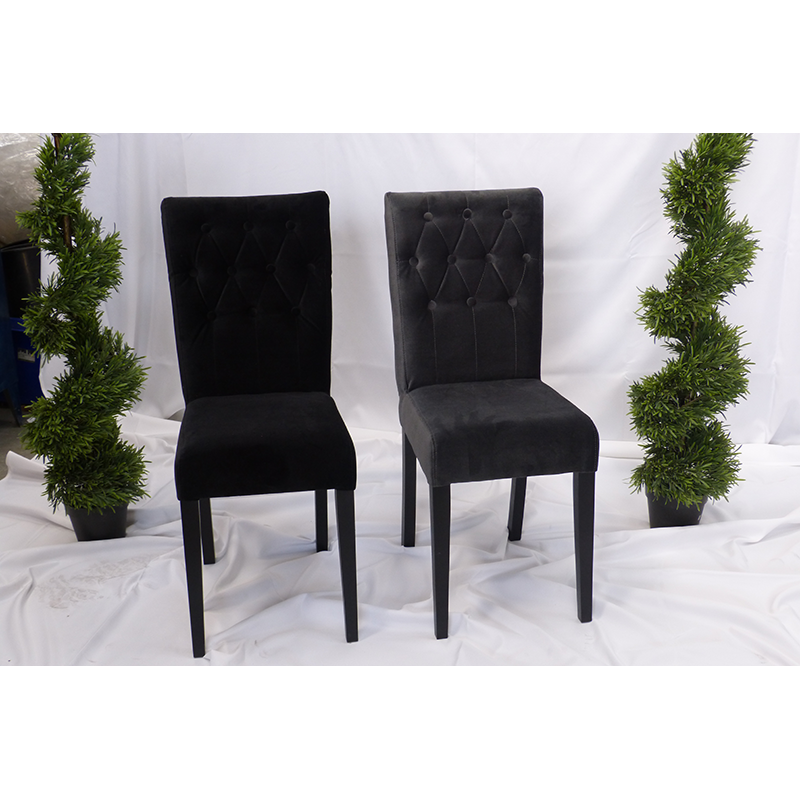 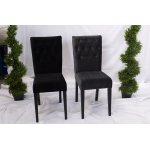 When it comes to comfort and luxury, or gorgeous black velvet dining chairs are hard to beat. 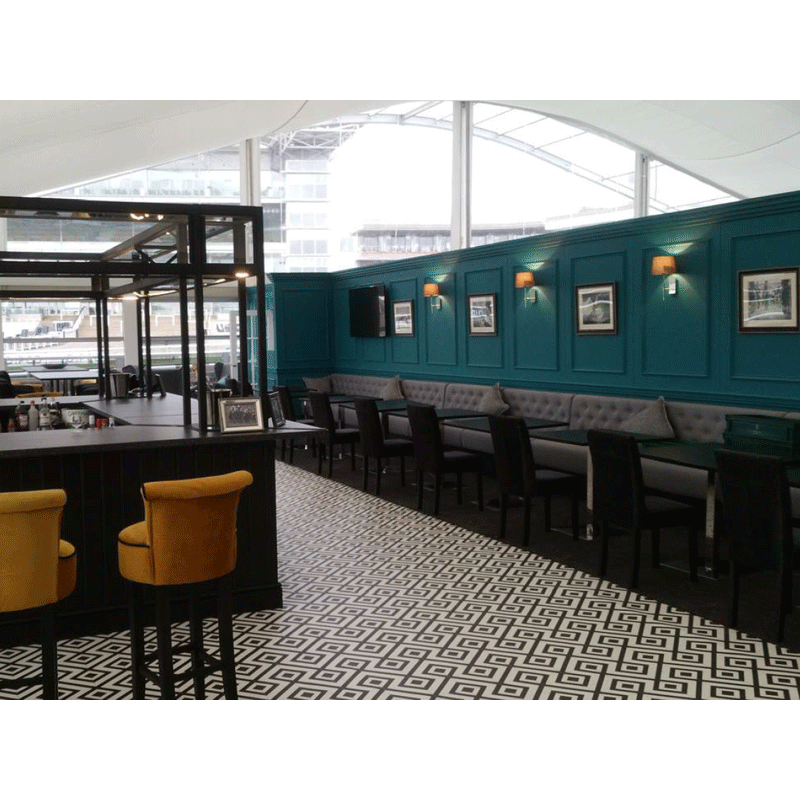 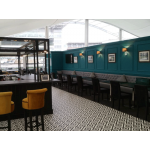 As well as looking truly stunning in any event setting, they also offer guests a high degree of comfort with generously padded seats and backrests. 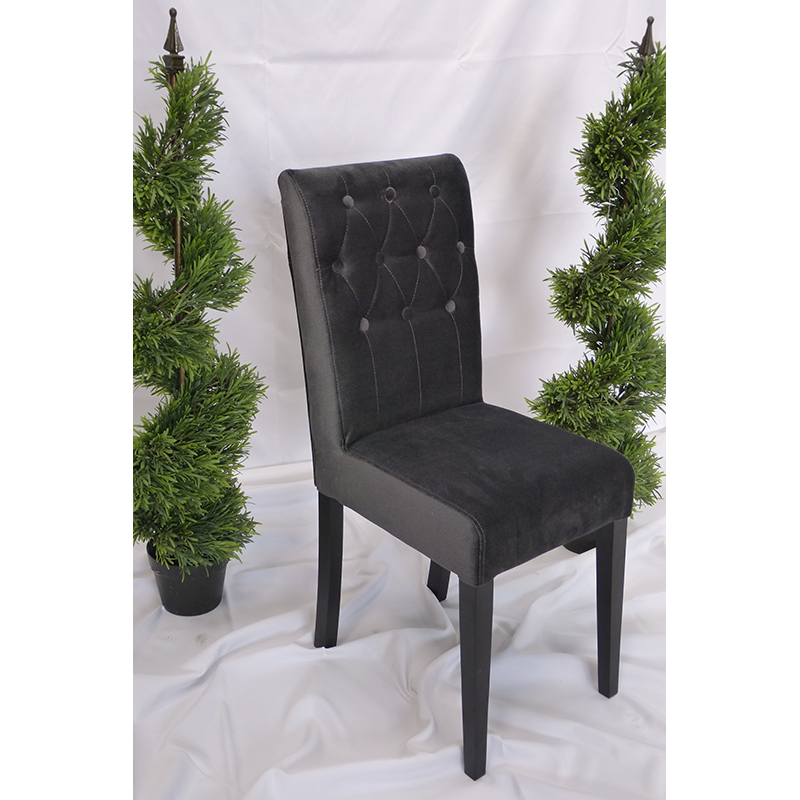 The button detailing on the back of the chair is a lovely touch, and in luxurious black velvet, this chair represents the height of both opulence and comfort. 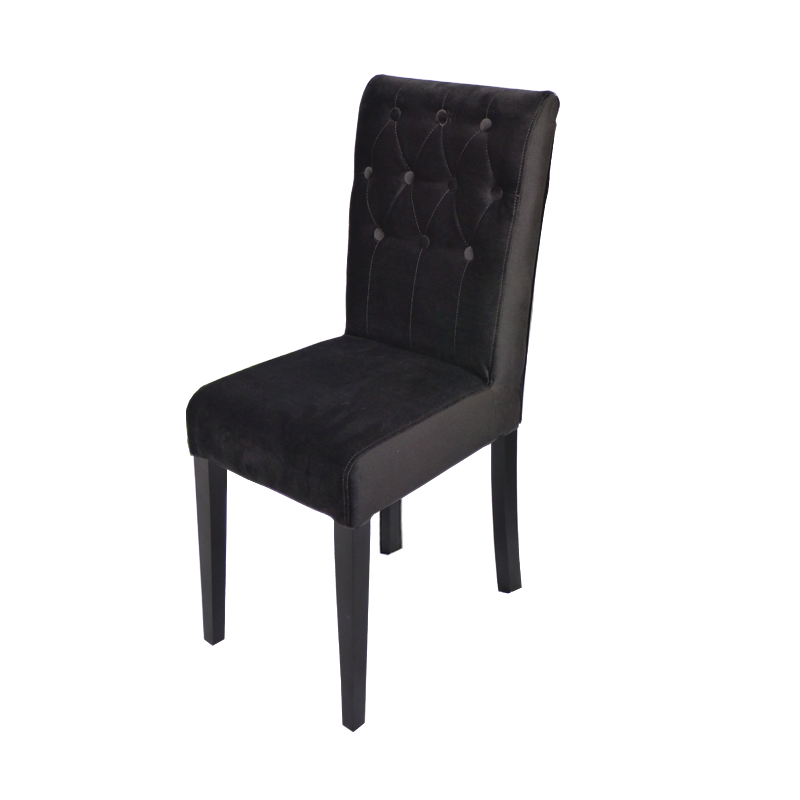 A contrasting Grey Velvet Dining Chair is also available. 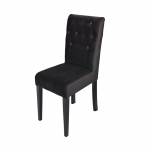 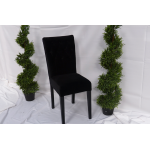 Luxurious black velvet dining chair with button detail on the backrest.